Learn how to choose a new road....the road that leads to awareness, balance and health. Would you like to understand how your thoughts, beliefs, and emotional patterns contribute and influence both your life, your relationships and your health? What if you were present and accountable in your life and your health? What if your interactions with others felt positive and effective? Would it be beneficial if you could have your currently unconscious triggers, beliefs, thoughts, and actions become conscious so you can direct them to health and vitality?? When you recognize your personal power, you can make confident decisions about your behavior which, in turn, positively impacts your physical body. The Coaching for Excellence in Life & Health Program is a 10 week coaching program that blends life skills with the knowledge of German New Medicine. You actually learn how to use GNM in your life as you discover new awarenesses about your self, your interactions with others, your triggers, your patterns, etc. AND you learn new skills to be able to make new road choices so you can positively impact your life....and your health. 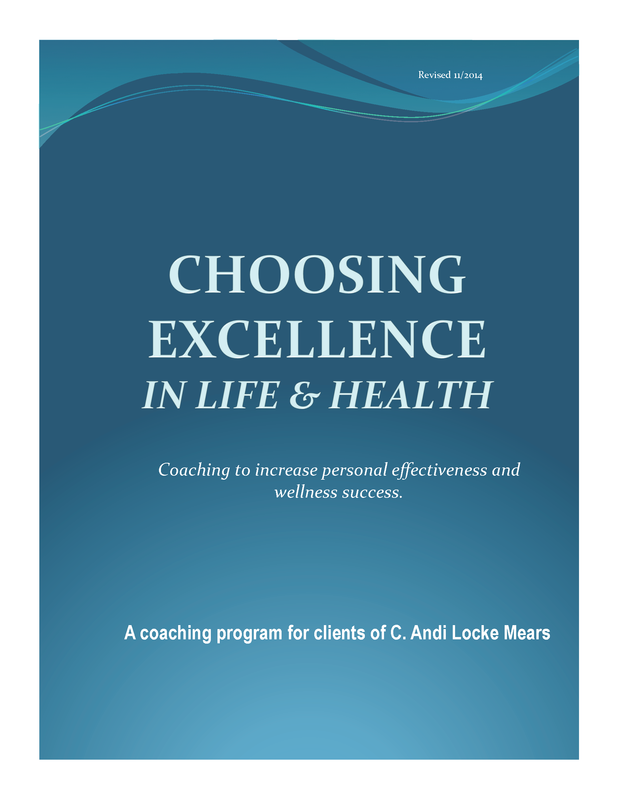 Coaching for Excellence in Life & Health is a 10 week program. All sessions take place virtually and at this point, I’m using Skype group video. You only need to have the free version of Skype on your computer and a good internet connection. Each 10 week session is limited to 6 participants which form a cohort who proceed through the 10 week program together. Participants must agree to confidentiality. Each participant receives a full-color, 200+ page Participant’s Guide as a .pdf. This can be printed by the participant in its entirety or you can choose to print only the workbook pages. You can print in either black and white or color. Click here for a preview of the Participant's Guide. Participants must commit to 10 sessions, once a week, at the scheduled dates and times. The length of time of each session varies depending on the size of the cohort. A cohort with 3 people tends to be 1 hour in length; a cohort with 6 people tends to be closer to 1.5 hours. In all sessions, participants explore models of behavior and effectiveness with skill practices and dialogue. Interaction is important!! You'll need a computer, internet connection, & webcam and also a willingness to explore who you are. You'll also need some time! In addition to our cohort sessions, you’ll be reading and reflecting throughout the week as homework. My husband, PJ, was on this 3 person team. I was able to observe the development of this program and saw the potential for it to be applied to health, especially with the knowledge of German New Medicine. It dovetailed beautifully with GNM and I was itching to get my fingers on it! With permission, I reformatted the original program to incorporate new principles of biology and wellness to make the first of its kind coaching program that also addresses the root of physical symptoms. Session 10: Managing Yourself for Success & Wrap up. Cost: Most coaches are $150 – $300/session (my husband is $150/session) but for my clients I am offering this 10 week program for the bargain price of $399 which is only $23 per contact hour and includes an online DISC assessment which has a $50 cost. "Andi is a wealth of knowledge about German New Medicine and I am constantly amazed at how a seemingly benign health issue can be related to old thoughts, beliefs and behaviors we have. The beauty of learning GNM is that you can become a detective in your own life, observe your patterns and make conscious changes for a healthier, happier, more fulfilling life. The next cohort will be starting in January, 2015. "I have high praise for Andi and GNM. Andi is full of energy and very supportive which is very necessary when you are going through a health crisis as I was. She helped me understand the issues that were holding me back. My life changed drastically for the good as a result of taking this class- and her program provided a great opportunity for me to clear up ALL my diseases……I now will never have to take another antibiotic again…..
Click for a preview of the 243 page Participant's Guide. "I just wanted to say thank you for offering your course on Excellence in Health! Between working with you and learning so much about GNM, i know that my life has changed for the better. Your course helped to create awarenesses and then helped me implement ways to make changes so that I can be as healthy as possible going forward. I feel so lucky that I’ve met you and I’m thrilled we’ll continue to work together in GNM. You are such a generous and supportive person and with your knowledge, expertise and offerings, anyone who works with you can make huge improvements in their lives and their health. I don’t know of any other place where someone can go to learn the physiological origin of “disease” and then learn how to minimize the effects of how these “diseases” take shape in our bodies. You’ve created a road map of how to do just that, and how to choose a new path in life and in health. "It’s evident Andi has put a great deal of thought and time into this program. The chapters follow a logical sequence with each one building on the next. There is a goldmine of information here around motivation, goals, personality, and change. Andi’s warm and thoughtful personality along with her knowledge is that guide that provides you the safe place to delve deeply into self-discovery. If you are ready to get “unstuck,” this program along with this kind and insightful teacher could very well be for you. I enthusiastically endorse both and ask what are you waiting for?" "I just finished a cohort session with Andi Locke Mears and must say, I am greatly encouraged! The investment of 10 weeks with others willing to be vulnerable and dig in to the material has put me on a new road. I was able to come to grips with some triggers that helped me stop the ‘hanging healings’ I seemed to be stuck with for so long. I am very grateful for this opportunity and recommend it highly."